Professor Sibusiso Moyo holds a PhD in Mathematics from the University of Natal, Durban and a Masters (with distinction) in Tertiary Education Management from the LH Martin Institute, University of Melbourne Australia. She has published widely in the Mathematical Sciences with a focus on differential equations and optimization problems in international peer reviewed journals. She has also successfully supervised postgraduate students and continues mentoring and supervising at Masters and Doctoral level. 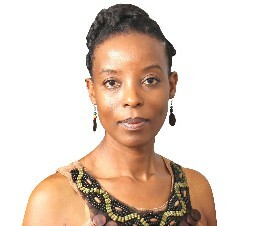 She is currently an Associate Editor for the Journal of Higher Education Policy and Management published by Taylor and Francis and has served as Guest Editor of the Mathematical Methods in the Applied Sciences Journal (published by John Wiley & Sons) and Journal of Engineering Mathematics (published by Springer). She is also board member for Agenda Feminist Media (which hosts the Agenda journal published by Taylor & Francis). She acquired a number of grants and awards – the most recent being the award to host the first Carnegie African Diaspora Fellow at DUT and a travel grant to present on "postgraduate experiences" at the University of Cambridge. Her current role as DVC for Research, Innovation and Engagement includes supporting the University staff and students to become independent and key role players in the innovation and entrepreneurial enterprise within the region and globally.